There are two big MLS matchups in the Pacific Northwest this weekend: The one that will fill a stadium is a Major League Soccer match between the Seattle Sounders and the Portland Timbers on April 5th. 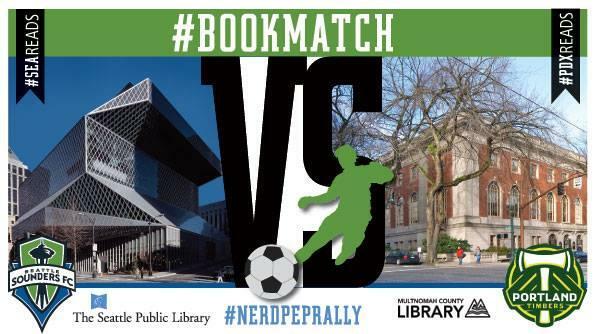 But just as significant is the one where MLS stands for Master of Library Science: Librarians from Seattle Public Library and Portland area Multnomah County Library are taking to Twitter in a 90 minute Reader’s Advisory face off, starting at 4:30 (5:30 Mountain) today. Residents of the cities can tweet the title of a book at their library (@splbuzz or @multcolib) using #SEAreads or #PDXreads as a hashtag, and the librarians will try to respond with a recommended next read. Each completed reader’s advisory transaction earns the library one point. New Mexico book fans have to sit this one out, but maybe the time is coming for the Lobo librarians to challenge the Aggies to something similar! More info -and a sample round – here.